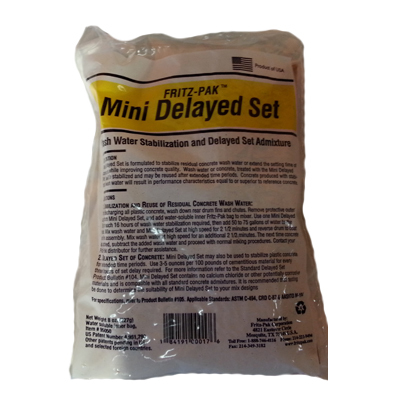 Fritz-Pak Mini Delayed Set is a dry powdered admixture, packaged in a ready-to-use water soluble bag. Mini Delayed Set is designed for stabilizing residual concrete wash water or extending the setting time of concrete while improving concrete quality. 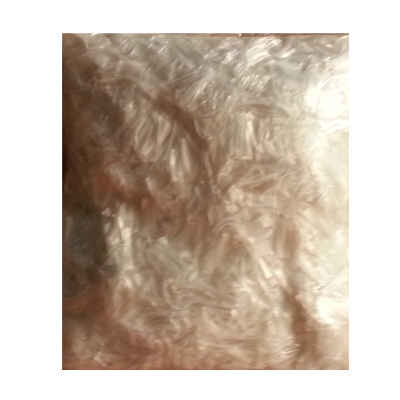 Wash water or concrete, treated with the Mini Delayed Set, will be stabilized and may be reused after extended time periods. Concrete produced with stabilized wash water will result in performance characteristics equal to or superior to reference concrete. 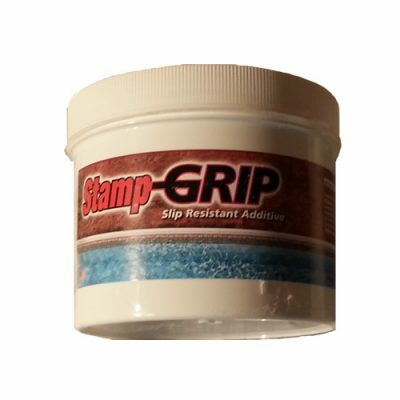 Mini Delayed Set does not contain calcium chloride, nitrates, nitrites or other potentially corrosive materials and is compatible with all standard concrete admixtures.